Since the early 19th century and with the development of the press industry, bureaucracy and international correspondence, typewriters were introduced to offer a fast and standardized means of writing. 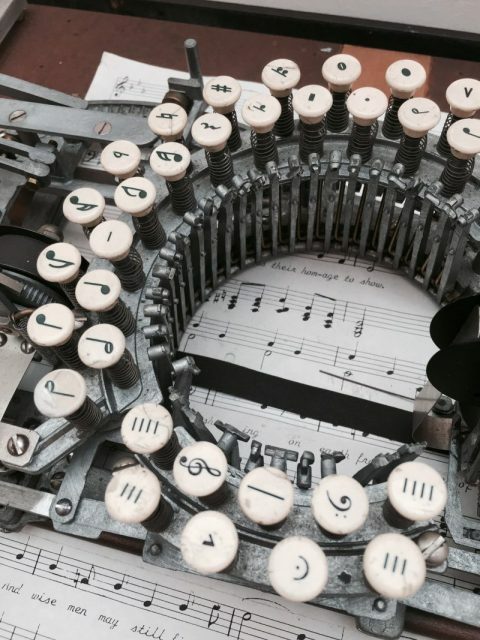 For the next hundred years, they would become an irreplaceable tool — so it’s no surprise that one man decided to apply this revolutionary invention in writing music. It was 1936 when Robert H. Keaton, a resident of San Francisco, California and a self-proclaimed inventor, patented the typewriter which instead of letters, printed musical notes. Besides its unusual purpose, the apparatus had a strange shape as well. 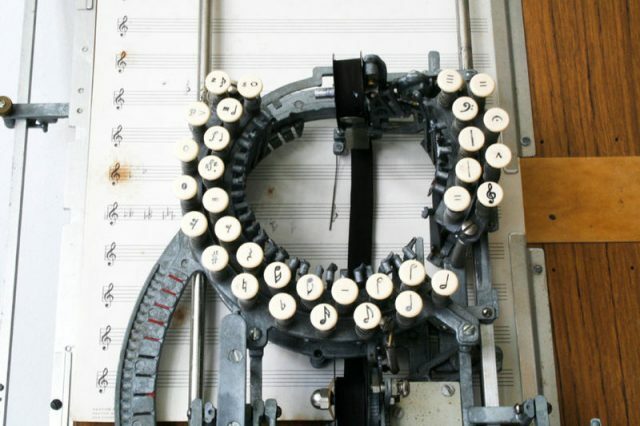 The initial version which was patented in 1936 had 14 keys in a circular arrangement. 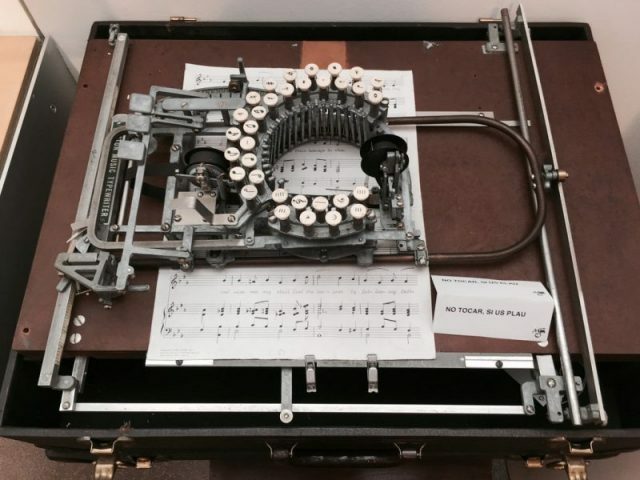 The paper was placed below the musical typewriter, instead of loaded from above as was typical for its office counterpart. According to Keaton, the decision to create a circular keyboard came from the necessity to separate two types of characters. On one side there were the bar lines and ledger lines, while the second and larger keyboard was to imprint notes, rest signs, sharp and flat signs, etc. 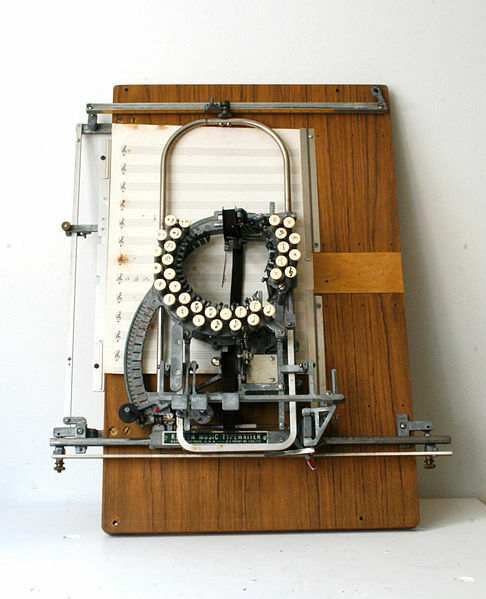 Thanks to a curved meter-like device on the left side of the typewriter, the Scale Shift Handle, the user could easily control the placement of notes and lines on the page. The Scale Shift Handle was to be moved up or down a notch, adjusting the print 1/24 inch in either direction. Furthermore, a long needle called Scale Shift Indicator was installed to pinpoint the exact location that the symbol would to land once pressed. In addition to this, the larger keyboard was designed to move freely along the handle, while the smaller keyboard designed to provide the user with various lines used as a platform for writing musical score, remains fixed. 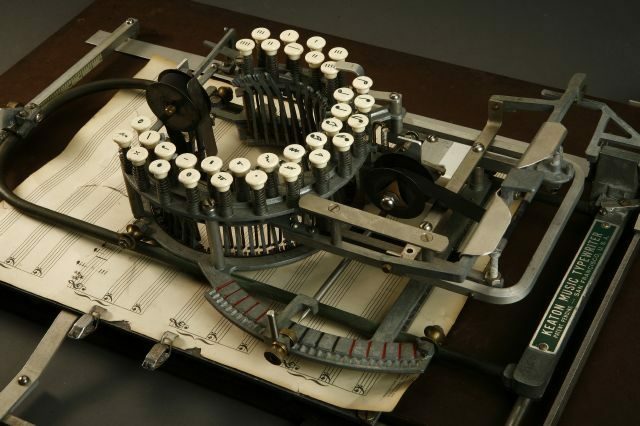 While the prototype version of Keaton’s Music Typewriter had 14 keys, in 1953, he upgraded his patent with a 33 key version. 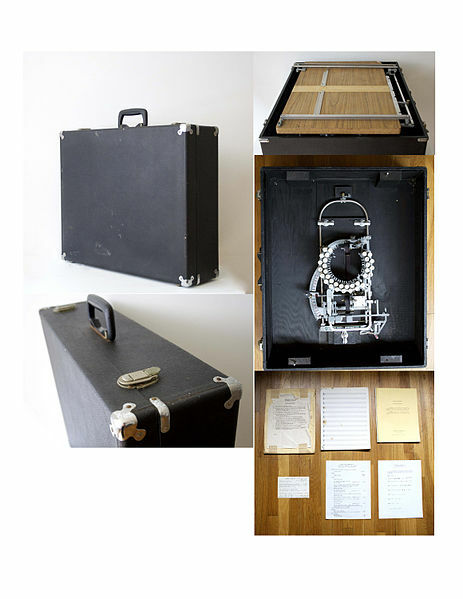 Although very little is known about this particular invention, interest was sparked in 2012, when an inquiry was sent to the Carnegie Hall Archives Department by an unnamed owner of one of Keaton’s typewriters, asking for information regarding the device. In the letter it also is noted that it was purchased in 1962, in a music store located in the Carnegie Hall building, for a price of $255. So, it appears as though the invention never took off commercially, since it is regarded as abandonware technology, even by experts who we would suppose to be familiar with its history. The reason behind the market failure of the invention was most probably due to the fact that composers were very keen on writing music by hand. However, it should be recognized as a useful tool for music teachers, students, or anyone else for that matter, who needed a fast solution for writing music. 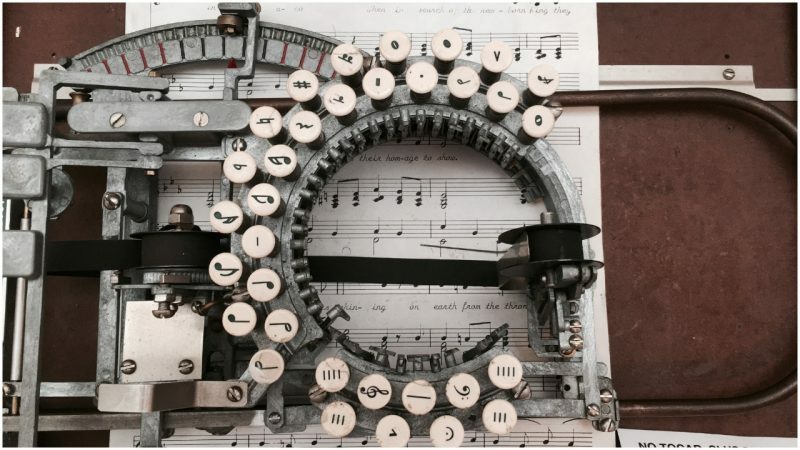 Keaton’s Musical Typewriter constitutes a rarity these days and can reach hefty a price, if it gets to the right customer.